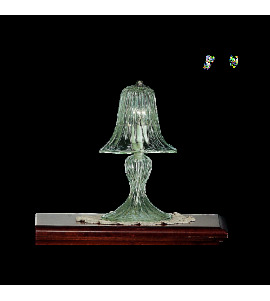 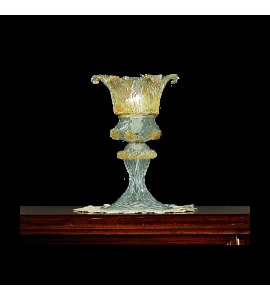 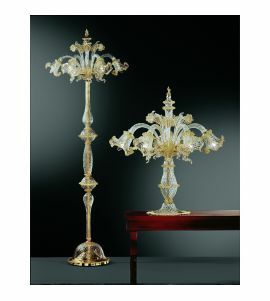 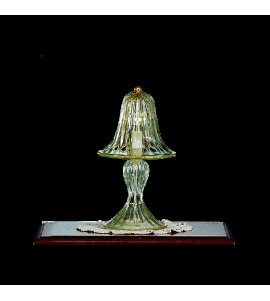 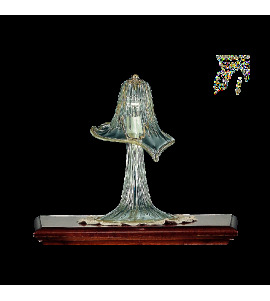 Decorate your entire home with our beautiful Table Lamps and Floor Lamps made from Murano Glass. 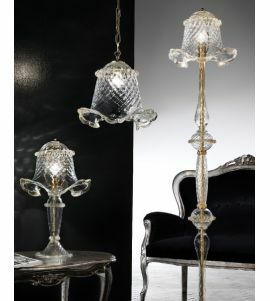 These lamps are themselves decorated with leaves and flowers made from 24 carat gold to create a wonderful atmosphere of warmth and luxury. 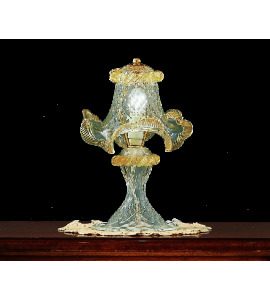 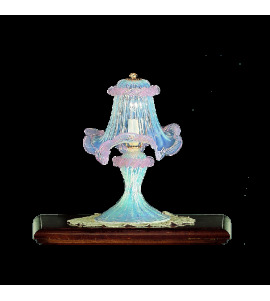 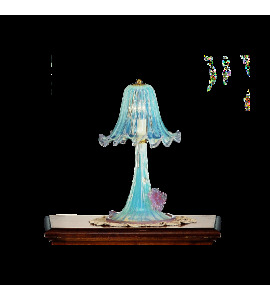 On request we can also make appliques in conjunction with the chandeliers or other lighting objects like these table and floor lamps, ensuring the same style for all lighting fixtures in your home, office or location you manage.